I am pleased to present the third annual report on the state of the Butts County Government for the fiscal year beginning July 1, 2013 and ending on June 30, 2014. Most county governments run on the fiscal year model rather than the calendar year and ours is one of them so our new year begins each July with the passage of the annual budget. FY 2014 was a year of many challenges but as always, our employees, department heads and elected officials worked together strategically to meet each one of them, making the fiscal year productive and setting the stage for FY 2015, which we have just begun. Improvement in the economy has been slow but there are definitely signs of improvement. There has also been a small number of changes in the leadership area of the County, though not nearly as many as the prior year when we saw several of our elected officials retire from public office. The biggest push for FY 2014 was to address some sorely needed building improvement projects and to increase fire coverage in the County. The list of improvements was not long but it covered some of our largest and most sensitive structures including the Butts County Detention Center and the Ernest Biles Youth Center, both of which need roof replacement. The main wing of the Detention Center and the entire Youth Center were constructed around 1996, while the second phase of the Detention Center was constructed in 2008. Due to age, combined with deficient building materials in some cases, these roof systems have reached the point where replacement is necessary and the County Community Development Department has worked diligently to address this problem and correct it. We also want to make sure that the new roofs are properly engineered and constructed of materials that will carry a strong manufacturer’s warranty and a long life expectancy. The Board of Commissioners approved contracts with Jackson Roofing Systems in July to replace the roof systems on both of these major facilities. We are also working to divest the County of unneeded facilities. In early 2014, the County sold the old Hawkes Library building, vacant since 2006, to the City of Jackson, who desires to stabilize and eventually rehabilitate the structure for future use in the community. We were faced with a choice of spending county funds that we didn’t really have to do this ourselves or to have the building taken down due to safety reasons. I am personally glad that the City of Jackson stepped up and offered to do this. We also relocated our Extension Service this year from the old Health Department building south of the Jackson square to our Youth Center. 4H serves a large number of Butts County youth with the programs that they offer and combining 4H programs with our youth recreational programs has been a win-win situation for the County. Our intention is to put this facility on the market for sale and use the proceeds to help pay for some of the improvements at the Youth Center. Prior to this taking place, our Buildings Department, using inmate labor provided by the Sheriff’s Office, performed a thorough deep cleansing of the Youth Center building, including the removal of nearly two decades worth of old floor wax and grime to restore much of the original luster to the building. The floors were then resealed and new topcoats of wax applied. Bathrooms and other areas were repainted and even small details such as door jambs were scrubbed and polished. Response from the public on the improved appearance of this building has been very positive and I am appreciative of the Sheriff’s Office for their assistance with this project, as well as Director of Operations Doug Manning and Leisure Services Director Dan Magee for making this happen. There are plans to restore the basketball court floors, which need to be replaced, and to install new insulation, which will improve the aesthetics of the gymnasiums as well as make them more energy efficient. Finally, we intend to air condition one of the gymnasiums so that the facility can be used more during the hotter months of the year for various community activities. Improvements will be paid for from Special Purpose Local Option Sales Tax. The County also was given the green light in February to begin construction of a new fire station to serve the citizens of District 2. This district is currently the only district that does not have a 24-hour fire coverage system in place. For decades, the County has relied on the Flovilla Fire Department to provide volunteer firefighter coverage to that area but as their volunteer base shrank, many calls were unable to be answered, necessitating a response from stations many miles from that part of the county. The new station will be located on Highway 42 South at the intersection of Highway 42, 87 and US 23 on a three-acre parcel donated to the County by Mr. J. B. White. From this location, the station will have access to Indian Springs, Flovilla, the southern end of the County, Mt. Vernon Road and other critical areas. Additionally, it will serve such key areas as the Indian Springs Holiness Campground, Indian Springs State Park and Dauset Trails Nature Center, all of which are key tourist attractions in Butts County. Full time firefighters, also certified as an EMT, will be on duty around the clock once the station is operational. This will shorten the response time to critical incidents considerably. Site preparation is already underway for the new “Indian Springs Fire Station” which will carry the station number of 8. Director of Operations Douglas Manning will oversee the building process of the new station as well as the improvement processes to the Youth Center and Detention Center. Official groundbreaking will be August 26th, 2014. We have also been working with our governmental partner, the City of Jackson, to achieve better code enforcement and to address a number of problem areas that have existed for many years. Plans have been discussed and created with input from all involved and as of this writing, we have begun the process of executing those plans to rid the County and the Cities of some unsafe eyesores that will help our overall appearance and quality. Addressing blighted structures is not a simple process and it involves cooperation from local governments, the court system and the public to make it work. We feel that the measures we spent considerable time working on will now allow us to begin to address those problems in earnest. We continue to work with all of our other government partners, including the Board of Education, Development Authority, Hospital Authority, Water Authority and of course, our three municipalities of Jackson, Flovilla and Jenkinsburg. Regular meetings, held about every four months with all of these governments, ensure that the line of communication remains open. Each one is a partner with us and we are proud of the excellent working relationship we have. Even when we disagree, we respect each other’s position and we move forward. This ethic of working together for the common good wherever we can helps us to reach our goal of being a high-quality county. As I have said before, we cannot achieve this overnight but by improving our process of interaction with the public, improving service delivery strategy and strengthening the ties we have with other local governments, authorities and boards we will make progress each year. We are all interdependent on one another to serve the needs of the public most effectively. This fiscal year has been one of many changes in our departments and agencies. Leisure Services has probably seen the most change this year as they continue to grow and develop their offerings. First, in November, Leisure Services Director Jim Herbert retired from his position after 15 years. This necessitated securing a new Director, which we found in the person of Dan Magee. 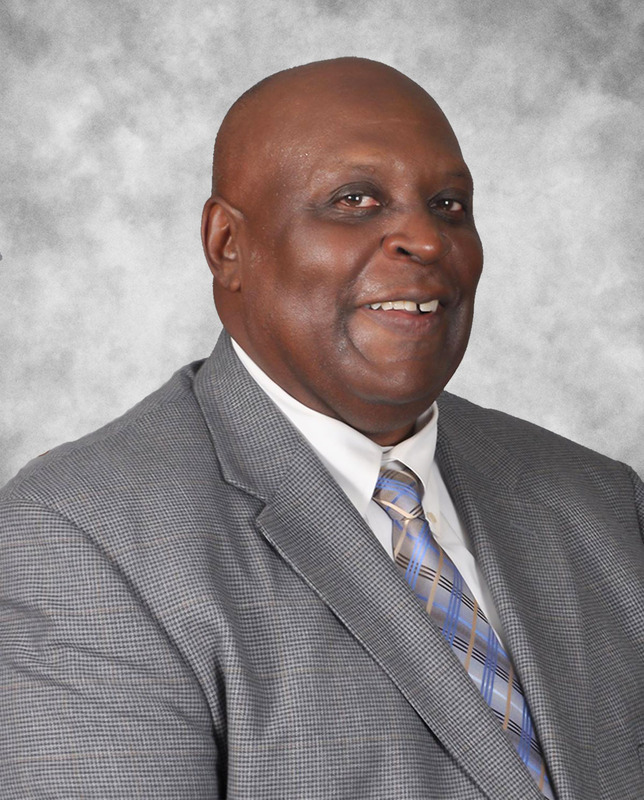 He came to Butts County bringing many years of experience in the leisure services field and since his arrival here, has implemented a number of strategic changes geared toward making the department work better internally as well as offer more externally. Renovations to facilities by the Community Development Department will improve the physical campus of the Parks and Recreation offerings while our partnership with the Board of Education will make more facility space available to us in the near future. Senior Citizen Services will have the opportunity for growth and advancement too with the funding of a full time Senior Center Manager. Chrissie Crabtree has been serving in this role for a number of years now but always in a part-time position. Her full-time presence will ensure that our active senior citizens have services available to them on a regular basis, five days per week. Public Safety accounts for 38% of the County budget, yet it is probably responsible for 75% of the services demanded by the public. We continue to see improvement in service delivery thanks to our Sheriff, Gary Long, our Public Safety Director Mike Wilson, as well as our divisional directors who oversee Homeland Security and 911 Communications. Sheriff Long and his staff have worked hard to improve the detention center since taking office in January of 2013 and just recently were cleared by the Federal Government to house federal inmates, which will create a revenue stream for the jail. Chief Wilson has worked to upgrade equipment in his department, including the securing of two new EMS units paid for by SPLOST. He will also play an integral part of the construction of the new Indian Springs Fire Station in District 2. Early in the fiscal year, Virginia Holton, who had served as 911 Director since 2004, retired from her position with the County. She and I were the last two employees working for Butts County who were part of the process to bring E-911 service to Butts County 21 years ago and she worked with that department more years than anyone else had. We were lucky to have a highly qualified applicant already working in the department and after a lengthy interview process, Sonia Sands was promoted to the position of Director. She brings years of experience in 911 training and supervision to the table and has overseen the implementation of an entirely new 911 control system, the third generation system of its kind to be installed here, making our center cutting edge with technology. Homeland Security Director Glen Goens continues to work toward bringing all of our Emergency Management plans required by FEMA and GEMA up to new codes and standards and has also been an integral part of bridging our 911 and Homeland Security with local area HAM radio operators, who are available to assist and augment our communications capabilities during times of disaster. We continue our focus on greater quality and accountability in our financial practices, employment processes and procurement measures. County Controller Chiquita Barkley has worked diligently to improve these processes and to oversee much of the budget process this year while also obtaining her Certified Financial Officer certification from the University of Georgia. We also welcomed to our team a new County Clerk in November with the addition of Crystal Griggs-Epps. She has brought a level of professionalism, education and ability to the Office of County Clerk, as well as having provided training to employees to help them improve their operations. She also took on the formidable task of digitizing decades worth of commission meeting minutes so that hand searching for information is all but eliminated. Speaking of education, we have worked hard this year to make educating our employees with training designed to help them be better at what they do. Having a trained, professional workforce reduces liabilities and increases efficiency and this is being emphasized more than ever and supported by our Board of Commissioners. Our goal for FY 2015 is for every employee who works under the Board of Commissioners to receive some form of training. Much of this can be done in-house, supplemented by external training where needed. In my dealings with other County Administrators and Managers, I hear a lot of issues that other counties are currently facing because of past management practices or failure to respond to changing economies quickly enough and this only makes me proud of Butts County for exercising good judgment and remaining vigilant with our spending and budget practices. All of this has put us in a strong position among other counties and has positioned us well to become more of a participant on the state and regional stage. While much has been accomplished, there is still much to do in the future. We are at a critical point in our evolution and the decisions we make over the next few years will set the stage for the Butts County of the future. Continual improvement is critical if we are to be positioned strongly to take advantage of opportunities when they arise. We are not alone in this. All around us, improvement is taking place. Our school system recently cut the ribbon on the new Jackson High School, a combination of an entirely new main wing and a renovation of the original wing. Plans are now in the making for a brand new gymnasium to be added to the campus. They are making tremendous strides towards improving facilities and the quality of education in Butts County, turning out better students in the process. Our cities are planning and working towards improving what they offer to make the commercial centers within our county more sustainable and attractive. Our Water Authority continues to grow its footprint, bringing vital water to all parts of the county while our Development Authority is positioning us to be truly competitive in one of the most competitive regions of Georgia. Our Hospital Authority is strong and viable and Sylvan Grove Hospital continues to fill a much-needed role in our healthcare delivery, with the quality of Tenet Healthcare to back it up. These are all our partners in making Butts County an exciting place to be. With that in mind, I present for your review, the Butts County Annual Report for FY 2014, covering the period of July 1, 2013-June 30, 2014 and close by saying that I consider it an honor to work for the citizens of Butts County, the place I have been fortunate to call home my entire life. In July of 2013, the Board of Commissioners passed the annual operating budget of $17.9m and set the County millage rate at 14.163, the lowest it has been since the 1990’s. This was down from 17.413 mils just three years earlier and was accomplished due to a combination of strategic cost management, retirement of old debt and the diligent work of every county employee. The County also completed installation of a new digital sign for the front of the Administration Building after the previous sign had been destroyed in an accident. The new digital sign has improved our visual communication with the public and new information can be posted remotely, cutting down on physically changing the information and adding the ability to post more information to the public. It has been well received since implementation. In August, the County strengthened our ties with the Georgia Department of Transportation in a meeting between local officials and DOT that was orchestrated by State Representative Susan Holmes. The County took much away from this meeting, which has since been instrumental in the formation of our new Transportation Board. We also participated in a joint meeting between the County and Partner’s for Smart Growth, seeking common ground and ways that the organization could work together with the County on future projects. The County also participated in the launch of a completely overhauled “Leadership Butts County” program, led by former graduates of the program. The model for the program was based on a number of highly successful community leadership programs and this revamped LBC was well attended and enthusiastically endorsed by the graduates of the class of 2014. This marks the 20th year of Leadership Butts County. In September, we were again blessed with beautiful weather for the opening of the 18th annual Ernest Biles Memorial Golf Tournament, held at Hickory Hills Golf Club near Jackson. This particular tournament raised over $35k, an increase of $5000.00, all of which go toward helping the youth of Butts County to participate in organized sporting events through scholarships, sports clinics and other organized activities. A total of 88 golfers participated this year. Desonia (Sonia) Sands was appointed as the County’s new E-911 Communications Director. Following the retirement of Virginia Holton, who had served for 9 years as Director, Sands is the fourth person to hold the position since the department was created in 1993. She brings with her several years of experience as Training Officer for the department as well as a considerable educational background. In October, the County, following a series of discussions that had been ongoing for some time, entered into a series of negotiations with the Flovilla City Council to address fire coverage in District 2, which had been on the decline for several years. The County proposed the placement of three County firefighters to be housed in the Flovilla station and paid for by Butts County. The firefighters would utilize equipment owned by Flovilla and supplemented with County funding and maintenance on Flovilla fire equipment. Discussion on this project would ensue over the next several months. The County also began interviewing candidates for the position of Leisure Services Director following the earlier announcement by Director Jim Herbert of his intention to retire from the County later that year. After vetting several highly qualified candidates, Daniel Magee was chosen to succeed Herbert and would assume his duties in November. In November, Jim Herbert was recognized for his 15 years of service as Leisure Services Director at an event held at the Recreation Center. During his time with the County, he oversaw much growth in that department, including the expansion of the Senior Services offerings. The County also recognized the one-year anniversary of the opening of the new Ida Ruth Taylor Senior Center in the Daughtry Park complex. The County also welcomed new County Clerk Crystal Griggs-Epps who began working with us late that month. In December, Butts County participated with the Board of Education in a daylong conference about the educational needs in the county and the current offerings of the school system. Many community leaders were involved in this conference and everyone agreed that the school system was indeed making tremendous progress in meeting goals and objectives laid out by the Superintendent and the Board of Education. The County also voted to form the new Butts County Transportation Board as a group to study transportation issues in Butts County, Jackson, Flovilla and Jenkinsburg and to make recommendations to the governing authorities in those jurisdictions. The Board was comprised of representatives from all the local governments as well as Three Rivers Regional Commission and the Georgia Department of Transportation. In January, the Transportation Board held its first meeting, which was attended by many interested community leaders and citizens. The Board has met monthly since then, tackling such issues as surface transportation, traffic concerns and the study of a regional airport. For the new calendar year, the Board of Commissioners elected Roger McDaniel as chairman for the year and Commissioner Robert Henderson was re-elected as vice chairman. Michael Brewer was reappointed as County Administrator and Michael O’Quinn was retained as Chief Legal Counsel. In late January, Butts County was visited by its first winter storm of significance in several years. Snow and ice quickly blanketed the county, making road travel extremely hazardous. The mobilization of all public safety and public works forces helped to keep accidents at a minimum and local power companies did an excellent job of keeping the electricity on. Much debris removal was required from downed trees but overall efficiency did not suffer. In February, Butts County was hit yet again by another winter storm that left trees and roadways coated with thick ice. The weather episode was managed even better the second time around and although schools, businesses and local government business offices were closed for a couple of days, roads were handled quickly and emergency calls were minimized. Later that month, the County held a barbecue dinner at the Youth Center for all public safety and public works employees to recognize them for their hard work during the two ice and snow events. On Monday the 24th, the first-ever Jackson-Butts County day was held at the Georgia Capitol in Atlanta. Over 50 community and government leaders travel to the state capitol to be recognized by Lieutenant Gov. Casey Cagle, the Georgia Senate, the Georgia House and Governor Nathan Deal. Leaders heard from key state elected officials on a variety of subjects and they in turn heard from local leaders on concerns to small counties in high growth areas. In March, the County participated in this year’s first joint meeting of the local governments, which was hosted by the Water Authority. These meetings, which are held every four months, are designed to bring all of the local elected governments, local authorities and the school board together to discuss community issues, opportunities for collaboration and ways each of us can improve services. These have proven to be beneficial to all concerned and are just part of the way that local governments here work together. In April, Butts County began work on the FY2015 budget. One of the largest challenges dealt with a decline in revenues caused by laws made by the State regarding motor vehicle taxes. Fortunately, other revenue sources have been incorporated that have helped to offset some of the loss. 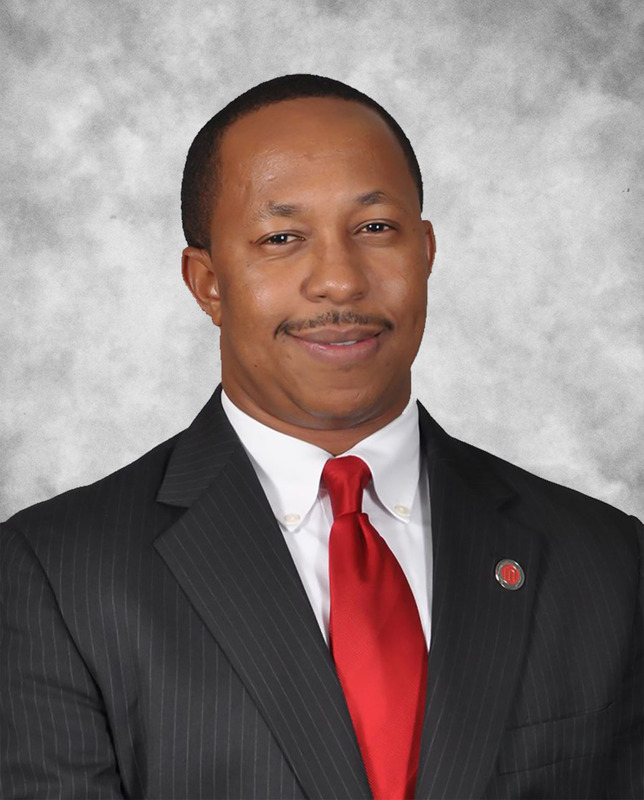 County Commissioner Keith Douglas completed his Advanced Commissioner Certification, a multi-year program offered by the University of Georgia for Commissioners. 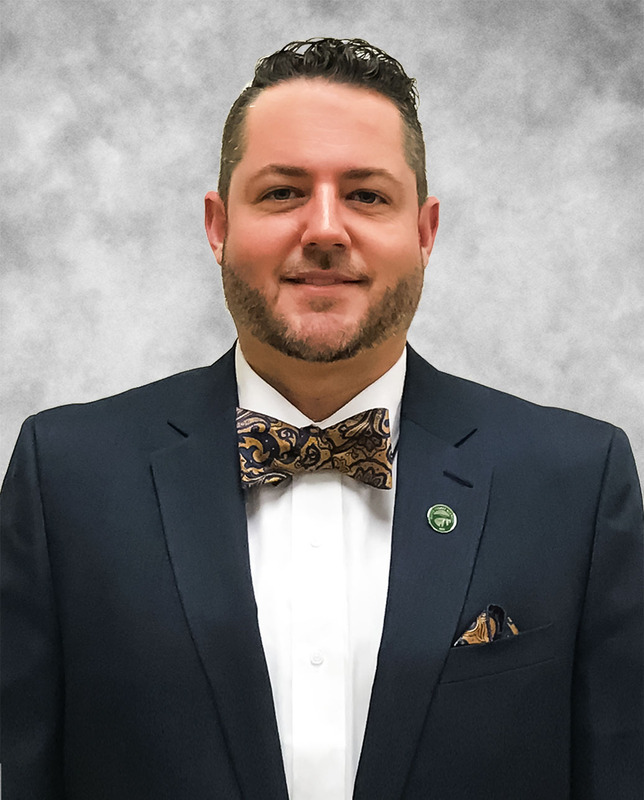 County Administrator Michael Brewer completed his Certified County Official certification, also a multi-year program through the University of Georgia offered to County Administrators and Managers. The month of May saw the hosting of the Georgia Environmental Finance Authority in Butts County. This state board provides financing and funding for a variety of projects throughout the state, including projects by our own Butts County Water Authority. Butts County was pleased to host GEFA’s Board of Directors for two days and to introduce them to the county and it’s people and venues. Commissioner Gator Hodges currently serves as Vice Chairman of the GEFA Board and was responsible for bringing this group to Butts County. In June, County Administrator Michael Brewer and Controller Chiquita Barkley presented a balanced budget to the Board of Commissioners for consideration and approval. The proposed budget increased by just over a million dollars but much of this increase was due to moving certain expenditures out of other budgets such as E-911 enterprise, Recreation Improvement and other areas into the overall general fund budget. The remaining increase was mainly due to rising healthcare costs. Despite this increase, the County millage rate barely moved, going from 14.163 mils to 14.281, the result of a necessary rollup to account for changing millage values. The new budget, which was passed unanimously by the Board of commissioners in July was set at $19.1m with balanced revenues. The hard work that went into the budget by everyone involved was equaled by the efforts of our Tax Commissioner, Nancy Washington and Chief Appraiser, Charles McKeehan, in preparing the FY2015 Tax Digest. This was again validated a few days later when the Georgia Department of Revenue accepted and approved the tax digest with no errors noted. Butts County was again the first county in Georgia to have an approved digest for the new fiscal year. This could not have been accomplished without the sacrifices and hard work of our management team, department heads and our elected officials. As the fiscal year ends and a new one begins, we are already hard at work making changes that will improve the efficiency and effectiveness of the county government. New technological updates in both our payroll system as well as our accounting software have allowed all of our departments to submit payroll documentation and invoicing electronically to the administrative offices, which will keep all of the processes contained within the accounting software system. This has enhanced efficiency and cut down on the use of paper, which in the long run will provide savings to our citizens. We have implemented technology updates for managing our building maintenance program as well as our code enforcement activities. We were also pleased to see our new computer aided dispatch system installed last year augmented by the new E-911 control system this year. All of these new technologies will continue to improve Butts County and make us truly become a 21st-century operation. In looking back over fiscal year 2014, we realize that we have seen many challenges and have overcome many obstacles. Working together, we feel certain that we will continue to improve and to overcome the challenges that fiscal year 2015 will bring and those beyond. The fiscal year 2015 budget planning process took place during the months of April-July of this year and was adopted in July for implementation. We have continued our efforts to introduce digital and social media into local government, allowing us to avail ourselves of these services as a way to keep the public better informed of timely information. We currently have a Facebook presence used for sharing news and information to augment our County website, located at www.buttscountyga.com. Here we are able to post news items, meeting notices, agendas for meetings, minutes for meetings and job announcements in a timely manner and the public can receive these postings by going to the website or subscribing for email updates. We also utilize Twitter to send short, fast announcements at the Twitter ID @ButtsCountyGA and this service has proven valuable during the recent ice storms in getting information out fast. Over 200 new subscribers followed the County Twitter account after ice storm announcements began to go out. We also utilize this service to tweet voting results the instant they were announced. These services will continue to be utilized and will be further refined and enhanced in FY 2015. We will continue to welcome industry and economic development to Butts County and to work closely with our Industrial Development Authority and Water Authority wherever possible to help them succeed in drawing new development to the County as well as retain existing industry and commercial enterprises. We have also furthered and strengthened our ties with key individuals in the Georgia Department of Economic Development, Department of Labor, Department of Community Affairs, Department of Tourism and the Georgia Film Commission and will continue to do so in the future. Some of our biggest goals for the upcoming fiscal year continue to be to focus on ways that we can find to better define the vision of what we as a community want Butts County to be. What do we want to become? Do we want to gear ourselves towards attracting as much industry as possible? Do we want to focus on promoting our natural resources and tourism potential? Do we want to become the next hot spot for film companies? It is not only important for us to know what we want to be but to have a clearly defined roadmap that will guide us towards achieving what we want to be. That takes time and planning and because we represent the government that the people elected to do it, we will work harder to make this a focus in the new fiscal year and beyond. Commissioner-Robert L. Henderson, Sr., District 2, elected 2008; took office 2009; second term. Commissioner Henderson represents the southeast and southern portions of Butts County including Flovilla, Cork, Mt. Vernon and portions of Jackson. He is the owner of R.L. Henderson and Sons Tree Removal Service and also serves as the Pastor of Rock Creek Baptist Church in Indian Springs. He holds certification as both a Basic and Advanced County Commissioner. Commissioner-Mike Patterson, District 3, elected 2010; took office 2011. 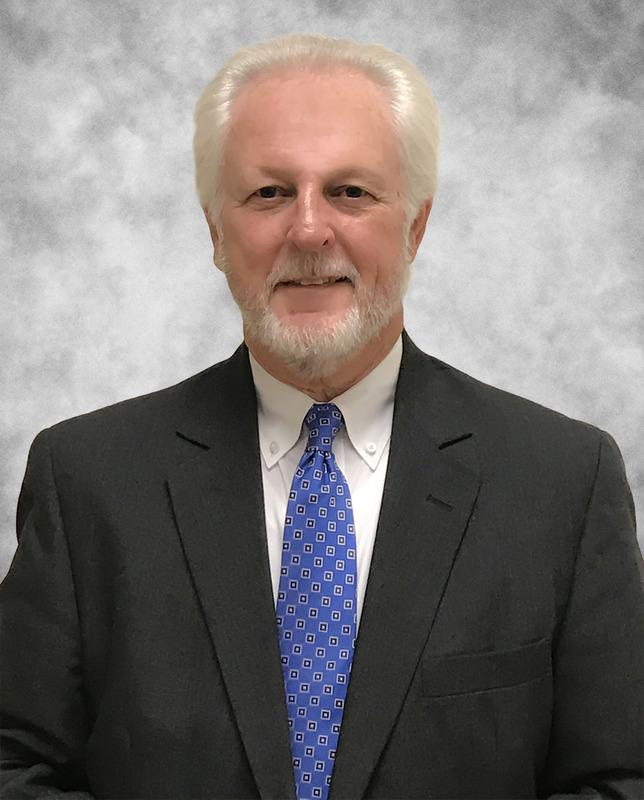 Commissioner Patterson represents the southern, southwestern and western portions of Butts County including south Jackson, Towaliga and portions of McKibben. 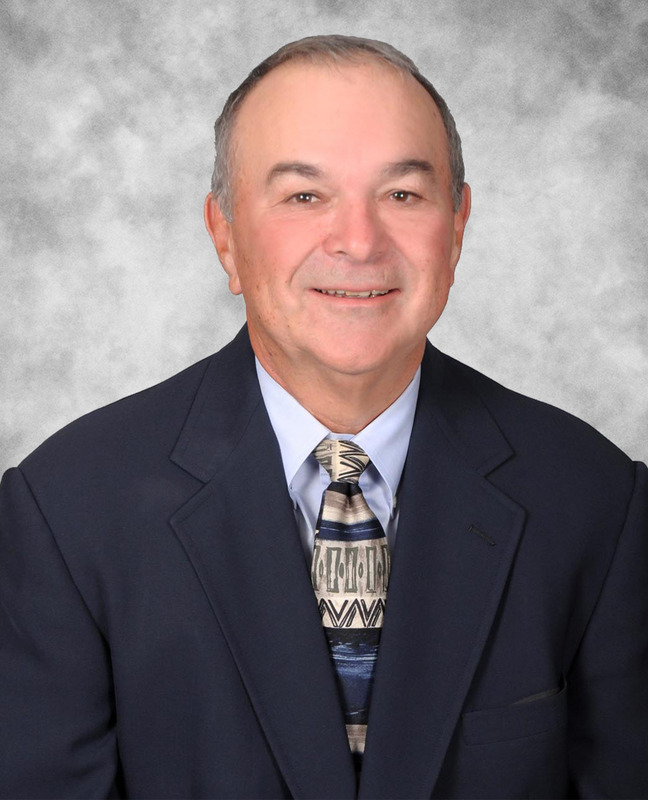 He is the owner of Patterson Mortgage and Patterson Storage and also works as a commercial and residential realtor. He is an active supporter of and current President of the Butts County Chapter of the Georgia Right To Life, an organization that works to promote the value of and protection of human life. He has completed his Basic Commissioner Certification. Commissioner-Roger D. McDaniel, District 5, elected 2008, re-elected 2012; took office 2009; second term. Commissioner McDaniel represents the west, northwest and northern portions of Butts County including Worthville, Fincherville and North Jenkinsburg. He is an employee of the Georgia Power Department and holds certification as both a Basic and Advanced Certified Commissioner. He has served as Chair in 2011 and 2012 and was elected Chairman again for 2014.